It's almost time for the ball, and Cinderella needs help! 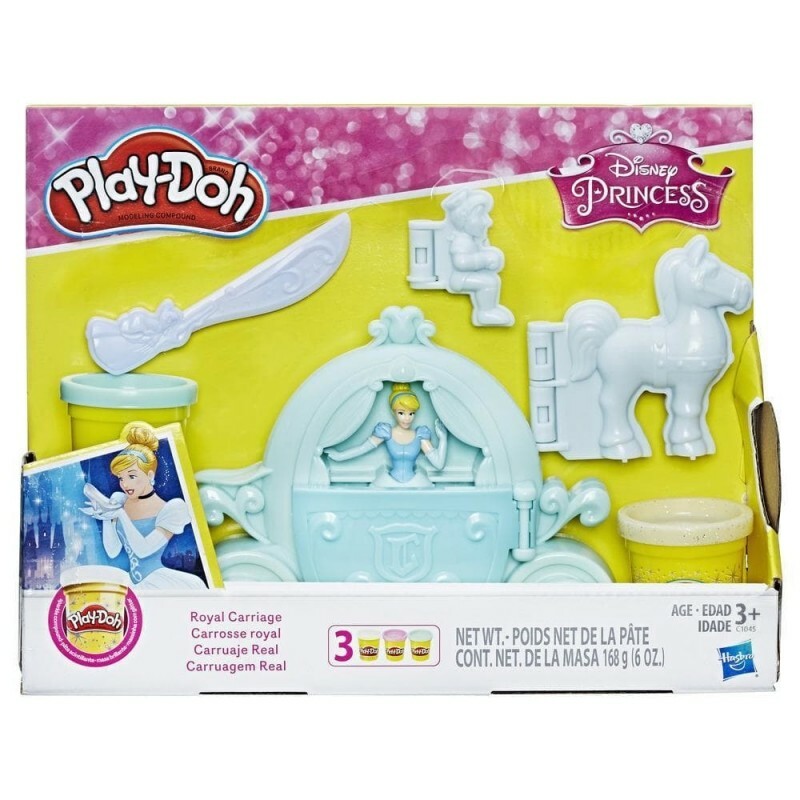 Get her dressed and ready to go with 3 Play-Doh colors – including sparkle – and a little imagination. Simply place Cinderella and some Play-Doh compound in the carriage, close the door, then open it again to reveal her gown! 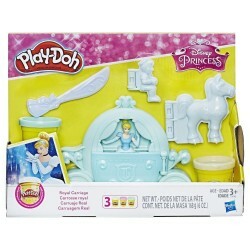 Add fun decorations with the molds all around the carriage, and even stamp her Fairy Godmother with the knife. When she's ready to go, create the coachman and a team of horses to bring her to the ball. Bibbidi-bobbidi-boo!